The use of common kitchen spices such as honey and cinnamon for medicinal purposes is known as complementary or alternative medicine, and it is gaining popularity in the United States. According to the National Center for Complementary and Alternative Medicine, 38 percent of adults in America now use some form of complementary medicine. Cinnamon and honey are used to treat a variety of medical conditions, including arthritis. Before adding any type of complementary treatment, talk with your physician and discuss possible interactions with your regular medications. Arthritis is a general term that refers to pain, swelling and stiffness in your joints. There are a variety of types of arthritis. Osteoarthritis is known as the wear-and-tear arthritis and occurs as you age or due to an injury. Other forms of arthritis are autoimmune in nature and include rheumatoid arthritis and juvenile rheumatoid arthritis. These conditions are caused when your body's immune system attacks the joints in your body. According to the National Institutes of Health, there are more than 100 types of arthritis. "U.S. News" reports that 46 million Americans suffer with some form of arthritis and that by 2030, some 40 percent of all American adults are expected to suffer from arthritis. While pain medications are used to treat arthritis, many are turning to natural alternatives like honey and cinnamon. Cinnamon is a plant and herb that is known as a flavoring spice when it comes to cooking. It has also been used for years as a medicinal agent and has shown anti-inflammatory and antibacterial properties. While it has been used to treat various ailments such as diabetes, joint conditions and high blood pressure, medical studies have not shown proven results. A 2008 study published in "Bioorganic and Medicinal Chemistry" looked at the use of cinnamon and its possible effects on bone disease and damage as a result of rheumatoid arthritis. This bone damage is caused by increased activity by cells known as osteoclasts that break down bones for resorption. The study showed that cinnamon slowed the activity and reduced bone damage. Honey is a sticky and sweet substance that is produced by honey bees from the nectar of plants. It is used as a natural sweetener but also has many medicinal benefits, such as soothing coughs and sore throats and antibacterial properties. 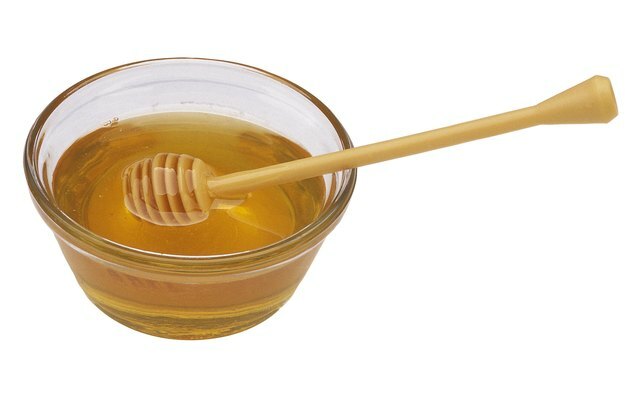 Honey mixed with apple cider vinegar, has long been used as a pain reliever in arthritis pain. Dr. Deforrest Clinton Jarvis, author of the book "Folk Medicine," suggests that a tablespoon of both cider vinegar and honey mixed with warm water and taken a few times a day can relieve many common ailments, such as arthritis. A report in the "U.K. Daily Mail" told the story of a woman who was suffering with crippling arthritis pain and receiving no relief from standard prescription medications. After only a week of starting with the vinegar and honey mix, she saw improvements in her pain levels. Cinnamon and honey mixed together are also promoted by Ayurvedic medicine and complementary medical practitioners. In a paste form or powdered, this mixture can be applied to the painful area and massaged into the skin. Mixing honey and cinnamon in a warm cup of water and drinking it on a regular basis has also shown to relieve arthritis symptoms. While none of these remedies has scientific evidence to prove they work, many arthritis patients have found success. What Are the Causes of Aching Bones & Joints?